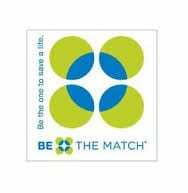 Be The Match is hosting a Donor Recognition Luncheon on Saturday September 15th, 2018 in Newport Beach California. All the donors who donated their cells within the last two calendar years will come together with the Be The Match Donor Services and Community Engagement staff to recognize their donation. As a Be The Match donor, our donors have put the needs of a stranger before their own. They generously donated their time and energy to help someone in need of a marrow transplant. We will come together to celebrate their selfless acts.